Google has no plans to drop its 70/30 revenue split on the Google Play Store despite some companies looking to circumvent it and new stores emerging promising a lower cut. Speaking durin an earnings call, as transcribed by Seeking Alpha, Google CEO Sundar Pichai explained the value he felt Google's Android marketplace brings to developers. 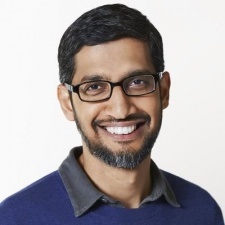 "On Google Play, obviously, we do this at scale, thousands of developers rely on it to safely and seamlessly distribute their game to billions of android users worldwide," said Pichai. "And we invest a lot in our infrastructure to continuously make sure their overall experience is safe and results in high engagement and for the developer's back. So I think there's a value exchange there and it's been the industry standard. And so, I think we will continue down that path and -- but obviously always adapt to where the market is." While never mentioned by name, there’s one name in particular right now that could threaten Google’s grasp on the Android market. Epic Games infamously bypassed the Google Play Store when launching Fortnite on Android devices. CEO Tim Sweeney boldly accused the platform’s revenue split of being “disproportionate”. Doubled that with Epic launching its own PC storefront at the end of 2018, with signs that the Epic Games Store could eventually make its way to Android. Sweeney said at the time: “The 30 per cent store tax is a high cost in a world where game developers’ 70 per cent must cover all the cost of developing, operating and supporting their games.